Have you ever taken a medication and noticed a black box on the bottle with writing inside? If you do, you should pay close attention. The black box is how the Food and Drug Administration (FDA) warns consumers that there is a serious or life-threatening risk in taking the drug. Invokana (canagliflozin) is one of those drugs. The decision to include a black box warning on Invokana was made in 2017 after a 2016 safety alert in which rates of amputation were higher in patients taking the medication compared to those taking a placebo. In fact, the risk of amputation was found to be twice as high in those people taking Invokana. Nearly 7 out of every 1,000 patients prescribed 100 milligrams of the drug had an elevated risk. A second trial proved the findings. The FDA has warned that the risk most often affects the toes and middle of the foot. Canagliflozin is intended to be used along with diet and exercise to lower blood sugar levels in patients with type 2 diabetes. It works in conjunction with the patient’s kidneys to remove excess sugar from the body through the urine. By itself, canagliflozin is known as Invokana. When it’s combined with metformin, it’s known as Invokamet. When the drug was tested clinically, it seemed to work well. People who took it reached A1C levels of less than 7 percent. Unfortunately, people soon began being diagnosed with kidney issues linked to canagliflozin, and medical providers were advised to evaluate kidney health before prescribing the drug. When a patient is prescribed Invokana, they should take it only once a day and before their first meal. Patients are typically told that they may experience lowered blood pressure while taking the medication and should alert their doctor if they become ill with diarrhea or vomiting. Patients should be sure to drink water regularly while taking the drug. 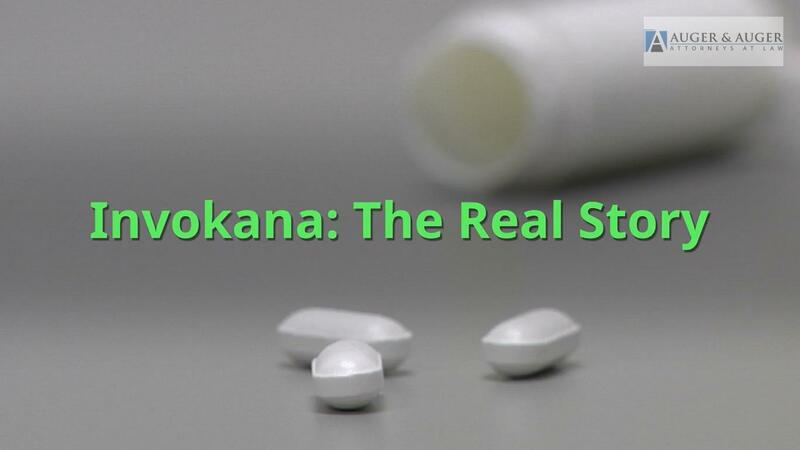 Invokana, patients are told, is only a single part of their treatment program after being diagnosed with type 2 diabetes. Invokana will be used in conjunction with things like diet and lifestyle changes as well as weight control and regular testing of blood sugar. Although there have been side effects and reactions in some patients, others have obtained positive results. There are 775 drugs that are known to interact negatively with canagliflozin. It is extremely important that any patient with type 2 diabetes tells their medical professional about every medication they are on, including over-the-counter supplements. According to several studies, both by the FDA and by the European Medicines Agency (EMA), canagliflozin has been proven to increase the risk of lower limb amputations. For patients taking a placebo, the amputation rate was 2.8 per 1,000 patients. Those taking 100 mg of canagliflozin had an amputation rate of 6.2 per 1,000, while those taking 300 mg had an amputation rate of 5.5 per 1,000. Medical experts are still unsure how or why canagliflozin causes these issues. What is clear, however, is that taking canagliflozin and other sodium glucose cotransporter 2 inhibitors increases the risk of needing an amputation for diabetic patients. As such, canagliflozin and other similar medicines now must carry a warning label in the US and the European Union. In the past few years, many different lawsuits have been brought against Johnson & Johnson’s subsidiary company, Janssen Pharmaceuticals, due to the risk of Invokana. According to these lawsuits, the pharmaceutical company failed to conduct pre-market safety testing. Moreover, these lawsuits claim Janssen knew about the risks, but failed to properly warn doctors and patients. You need to understand that to be a part of such a lawsuit, it is not enough to simply have taken the drug. To open a case against Janssen Pharmaceuticals, you must have suffered kidney injury, ketoacidosis, amputation or another injury directly related to or caused by canagliflozin. If a person was taking canagliflozin and passed away due to injuries or complications associated with the drug, their remaining family members may qualify to file a suit. If you believe that you have suffered some sort of injury or condition as the result of taking Invokana, reach out to our team for a free consultation. We will review your medical information and the dates of your taking the medication compared to your injuries to help you determine whether or not your case qualifies to be part of the multi-district litigation. Reach out to our team in Charlotte today for more information about your legal options and appropriate next steps. In an Australian study, researchers discovered that people driving with children in the backseat were 12 times more likely to be distracted behind the wheel than a person talking on their cell phone. According to the study, a person diving with children in the backseat takes their eyes off the road for a total of three minutes and 22 seconds in a short, 16-minute drive. According to AAA, parents do a variety of things when their kids are in the car. Children are up to eight times more distracting to a driver than adult passengers. People behind the wheel do everything from breaking up fights to calming fussy babies. Anything that takes attention away from the road can be dangerous. While children are lovely, they are dangerous as well. Distracted driving is risky, but experts agree that there are things you can do to reduce the distractions provided by children in a vehicle. Pack a few snacks for your kids, and keep them nearby. You don’t want to have to go digging for them when you need them. Let your children choose quiet things to do in the car and let them pack a road bag. The bag can be filled with books, crayons and small toys that will keep your children entertained while they are in the backseat. One of the worst things that parents do is to adjust their rearview mirror so that it is looking at the children instead of the road behind the car. Don’t do this. Keep your mirror as it is and buckle your children safely so you don’t have to worry. If you need to discipline your children, grab a snack or find a lost toy, pull over into a parking lot before you lose focus on the road ahead. Don’t do these things while you are driving. Your kids have rules for behaviors in the house, and they should have rules for behavior in the car. Establish these rules, and consequences of breaking them, before your children get in the backseat. Driving with kids can be distracting. Any adult who has had young passengers can tell you that. It’s how you handle those distractions that could make the difference between being in an accident and arriving at your destination safely. If you are in an accident in Charlotte, call our team of car accident attorneys to arrange a free case evaluation. We will review the details of your accident and advise you of the legal options that pertain to your case. Reach out to us today or browse our website to learn more about our firm and how we can assist you. When it comes to the worst drivers in America, people have strong opinions on who they believe should carry the title. Some believe it to be seniors. Others think that the distinction belongs to teenagers. Of course, there are those who think other certain groups also hold the title. According to a report recently released by the AAA Foundation for Traffic Safety, those between the ages of 19 and 39, or Millennials, are proving to be quite dangerous behind the wheel. The report states that 88 percent of this generation has engaged in at least one behavior behind the wheel that could be considered risky within the past month. The behaviors undertaken include texting and driving, speeding and running red lights. Most people have accepted that texting while driving is a dangerous behavior. Many would agree that speeding and running red lights is also risky. Unfortunately, these behaviors are nothing new for young drivers. Dr. Yang goes on to say that these drivers need to understand the potential consequences of their behaviors. It’s also important that Millennials guilty of risky behaviors change those behaviors and drive more safely. The report released says that close to 12 percent of drivers between 19 and 24 feel as though it is acceptable to drive through a school zone at 10 mph over the posted limit. Fewer than five percent of all drivers feel the same. The good news for millennials, and maybe the bad news for the rest of us, is that they aren’t alone in their risky attitudes. For other groups surveyed, at least 60 percent reported engaging in the same behaviors, texting, speeding and running red lights, in the last 30 days. It means that, as a nation, we aren’t the most responsible motorists on the planet. While millennials may be statistically the most unsafe drivers, the rest of the population that is of driving age isn’t much better. It’s up to each person that gets behind the wheel of a car to operate it safely. Distracted driving is known to be particularly dangerous, causing more accidents each year than any other behavior. If you have a smartphone, put it on “do not disturb” while you’re driving. If you have a hands-free system, use it sparingly, if at all. Remember that when you get behind the wheel, you’re number one focus is the road ahead. If you are involved in an accident in Charlotte, reach out to our team. We will help you arrange a free consultation and tell you more about your legal rights and options. Call today to schedule your case evaluation and take the first steps in being compensated for your damages. Whether it’s the freedom of the open road calling your name or just something you’ve always wanted to do, you have decided to by a motorcycle. You’re going to have a great time once you finally choose one, but the important part is choosing the right one. Not only that, but picking out all of the right gear. There is more than purchasing a bike than a make and then there’s the necessary safety gear that comes with it. Here are some tips on buying your first motorcycle, and everything else you need, in the hopes of helping you stay safe. Helmet: Look for one that is federally approved, free of defects and fits appropriately. Eye protection: If you don’t choose a helmet with a face shield, you should invest in a good pair of goggles or riding glasses to protect your eyes from road debris and insects. Jacket: A hoodie isn’t going to offer you much protection. Look for a jacket made specifically for motorcycle riders. Pants: You already own pants, so you don’t need to spend money on new ones. You may, however, want to invest in a pair of chaps for added protection. Boots: Sandals are a definite “no” when it comes to motorcycle riding. Invest in a pair of sturdy boots that cover your ankles and have a slip-resistant sole. Gloves: A pair of leather gloves specifically made for riding will allow your hands to breathe while protecting them from flying bits of debris from the roadway. Wearing the right gear is going to help keep you safe while riding, but it could also save your life should you be involved in an accident. If you do happen to be involved in a motorcycle accident in Charlotte or the surrounding area, you have rights. Reach out to our team today to schedule an appointment for a free case evaluation. We will review the details of your accident and talk to you more about your legal options. Call our office today or browse our website at your convenience to learn more about our firm and the types of cases we handle. When people think of burn injuries, their thoughts may travel to cooking accidents or even house fires. Many don’t consider burns as the result of motor vehicle collisions, but these injuries do occur. In fact, car accidents cause a fair share of burn injuries treated by medical professionals across the country. The aftermath of a burn injury can be devastating. Burns cause serious pain and often require rehabilitation. In some situations, burns can be so severe that they lead to death. When you or a loved one has been burned as the result of a car accident that was not your fault, you may have legal rights to compensation. Any motor vehicle that runs on gasoline has the potential to catch on fire in a collision. In some cases, a fire erupts and traps a victim in their vehicle. In other cases, a person is burned after they are able to escape their flaming car after an accident. Burn injuries may also be caused by a collision with a large truck carrying fuel or other toxic chemicals. If these chemicals leak after a serious accident, they can burn the victims and even witnesses who stop to assist. First degree: This type of burn affects the outer layer of the skin. It may cause redness and swelling, but rarely causes significant pain. Minor discomfort, especially when the area is touched, is more common. Second degree: This burn affects the outer layer of the skin and the layer just beneath. Redness, swelling and blisters are common with this type of burn. It may cause a good deal of pain. Third degree: This is the most serious type of burn that people live with. It can affect all layers of the skin and tissues that lie beneath, including the bones. These burns often appear black or white in their initial stages. Again, burns should be diagnosed and treated by a medical professional. Each type of burn may be treated in a different way in order to manage pain and promote healing. First-degree burns may be treated with over-the-counter remedies, while second- and third-degree burns may require extensive care. Third-degree burns may require skin grafts, surgery, rehabilitation or all three. If you have been burned in a car accident in Charlotte, you may be entitled to compensation for the medical costs you have incurred and will in the future. Reach out to our experienced team of personal injury attorneys to discover more about your legal rights and options. We can help you hold the at-fault driver accountable, and we will fight to get you the compensation you deserve. Call our office today or browse our website for more information about our firm and the types of cases we handle. You may find it difficult to believe, especially if you’ve never experienced it, but injuries at the gym are pretty common. People may not fall on the floor and writhe in pain, but could experience sore muscles later in the day from a few too many reps. In other instances, someone could slip and fall in the shower, injuring themselves more severely. Gyms are typically thought to be of as fairly safe places. Employees are available to teach people how to properly work on the machines. Padded floors ensure that free weights land softly. But what happens when you do experience an injury at the gym? When an accident does occur, the victim may be left wondering if they can hold the gym or its workers accountable. Here’s what you need to know. When you join a gym, you are normally asked to sign some type of liability waiver. Gym owners attempt to protect themselves from lawsuits filed by people who didn’t use equipment properly or tried to do more than they were able. Signing a liability waiver doesn’t mean that a gym owner is exempt from all lawsuit. Take a close look at your copy and see what it includes. Total waiver of liability means that the gym is not liable for any injuries within its walls. That said, courts may find these waivers to be unenforceable if they are too broad. Waiver for negligence means that you can’t sue the gym if your injury was caused by negligence on the part of the gym owner or an employee. Waiver of liability for intentional acts means that you can’t sue if someone in the gym assaults you in some way. These waivers are typically unenforceable in court. Knowing what your waiver says is the first step in determining whether or not you have a successful case on your hands. For example, if you are working out on a machine and it comes crashing down on your lap due to poor maintenance or an issue the gym owner was aware of, you could potentially file a lawsuit. Like any other business, a gym must be reasonably safe and free of hazards. That means that machines must be inspected regularly, slip and fall hazards must be remedied and potential dangers must be repaired or removed. If any of these things have caused your injury, you may choose to file a lawsuit. Like any injury, one that takes place in a gym is unique. If you have been injured in a gym in Charlotte, call our office. We will talk with you about your injury and the circumstances surrounding it and help you determine if you have a premises liability or other type of personal injury case. Contact us today to schedule your appointment for a free, no-obligation consultation and discover more about your legal options. You get up in the morning when your alarm goes off. You swing your feet out of bed and onto the floor and start getting ready for work. You expect to arrive at your workplace, do your job and go home. For many people on most days, that’s exactly what happens. Each day is like the last. For others, the workday takes a very different and dangerous turn. Workplace assaults are becoming all too common these days. As tensions build and stress boils over, tempers flare. In some cases, fists fly. Whether it is an employee assaulted by an angry customer or two workers who get into a fight, injuries can occur. If you are assaulted at work, what are your options? Depending on the company, workers’ compensation insurance is typically carried by the owner of the company or business. The policy is there to protect workers who are injured while performing their duties. Some medical costs, lost wages and more may be covered. Workers’ compensation typically protects those who have been injured by machinery or other injuries that occur during the course of their duties. Whether or not an injury caused by an assault is covered is by workers’ compensation is a question that should be answered by an experienced work injury attorney. Every case is different, so one answer does not fit all situations. Let’s say that you are performing your job when an angry customer approaches you. You do your best to provide excellent customer service, but the person is so agitated that nothing you say is working. The customer lashes out with their fists, striking you in the face, breaking your nose. In such a situation, your injuries may be covered by your employer’s workers’ compensation insurance. In another example, you are on the job when you are approached by an angry coworker. If you should become injured by that coworker because of workplace violence, you should absolutely consult with an experienced work injury attorney to discover what rights you may have. In a final example, say you work in a retail store. Your store is very busy and is often receiving new products to sell. Many of those products are delivered by a 3rd party delivery company. If you should be assaulted or injured by a 3rd party such as a delivery person or other vendor, you may be entitled to compensation under workers compensation and additionally there may be a 3rd party claim against the other person or his or her company. Situations like that can be complicated, so please speak to an attorney to find out more about what protections that law allows for such a situation. Laws vary from state-to-state on what will and won’t be covered under workers’ compensation. In some cases, the laws may be the same, but may apply differently to different situations. If you have been injured as the result of an assault at work or because of an accident, your best option is to consult an experienced work injury attorney that can advise you of the applicable laws in your state. If you have been injured while doing your job in Charlotte, you may have a valid case. Contact our team today to arrange for a no-cost, no-obligation consultation. We will discuss your incident with you and help you determine your options for moving forward. Call our office now to schedule your case evaluation or browse our website for more information about our firm and the types of cases we handle.